The Palace of counts Tolstoy, commonly known as the House of Scientists, is one of the most vivid architectural monuments in Odesa. First of all, it’s famous that despite advanced age and difficult history, it could keep almost all of its interiors in its original form. 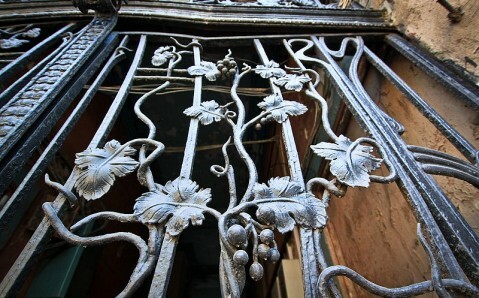 As of today, they are the main magnet that attracts hundreds of tourists to the age-old mansion. 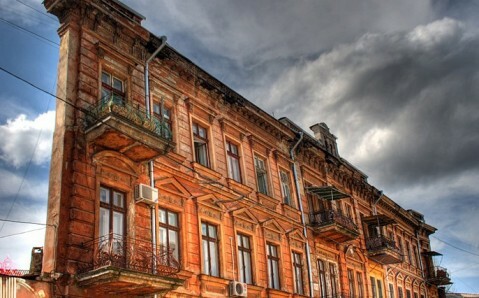 The building in Russian classicism style, subsequently finished with baroque and renaissance decorations, was constructed in the city’s center in 1830s. The project was designed by renowned Italian architect Franz Boffo, the author of another architectural masterpiece of Odesa, Vorontsov Palace. 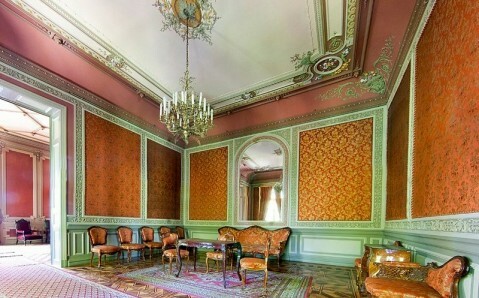 The construction was commissioned by bed chamber Nikolai Khorvat. 40 years later, the mansion was purchased by count Tolstoy for his newly married son. The Tolstoy family was one of the richest nobles in the Southern Russian Empire. They rose to fame as being sponsors and collectors of art masterpieces. The two-storey building of shell rocks houses 12 rooms and patio-inspired garden. The majority of heavily decorated halls have been kept almost intact till now. As of today, it features delicate stairs, Venetian mirrors, carved ceilings and elegant tapestries. The Marble Hall is considered one of the most beautiful. 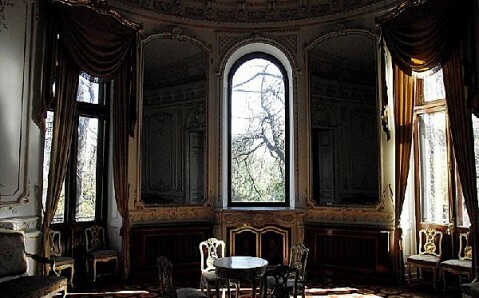 It was used by the Tolstoy family as dining room. The hall is completely faced with artificial marble, invented and produced by local craftsman on family’s money. There is a flawless grand piano of the German company Schroder. 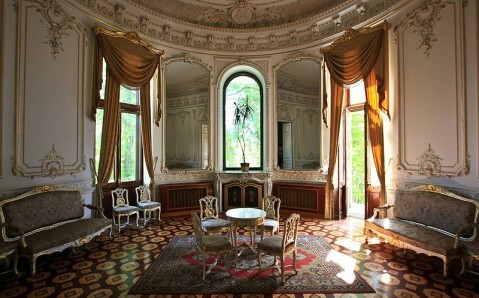 According to the legend, once it was owned by well-known Hungarian composer, Franz Liszt. The same saying tells that the unique painted and carved instrument was used by him during his tour in Odesa. Nevertheless the grand piano was heavily damaged during the transportation therefore vexed Liszt decided on leaving it in the city. 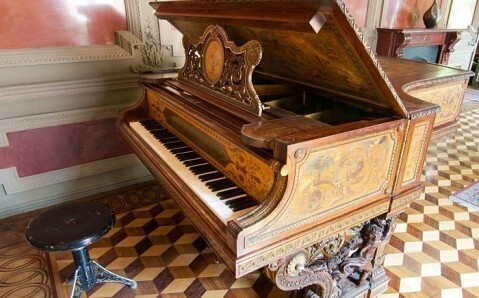 Later on, the musical instrument was bought by count Mikhail Tolstoy for his spouse. Another highlight of the mansion is the Silk Hall upholstered with intricately ornamented silk. They say the count decided to decorate the room after being tired of incessant requests of his friend to show him the Order of Saint Stanislaus with silk bandolier. He was awarded by Emperor himself for establishing the first-aid station. He commissioned silk in China that was inspired by order’s bandolier and commanded to cover the hall with it. The White Hall is also the one to be amazed at. There is oak parquet, made of 22 oak varieties, Venetian mirrors, gilded chandeliers and age-old furniture. This was a ball room that could welcome up to twelve couples simultaneously. The locals affirm that until recently the waltzing ghost of a woman could be seen in the White Hall. They say that it is Countess Tolstoy’s soul returns where she was happy once. Named because of filigree carving of nutwood doors and panels, the Nutwood Hall also has an inimitable interior, as well as the Oak Hall that once was owner’s cabinet. 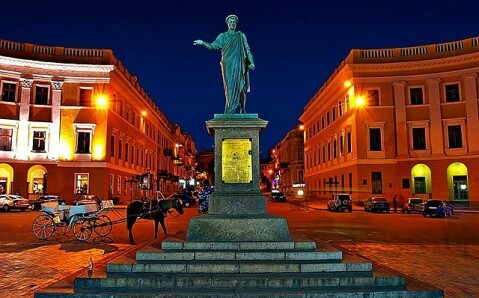 By the way, the last one was connected to the Opera House by the first telephone line in Odesa – the count Tolstoy loved to listen to operas by phone. 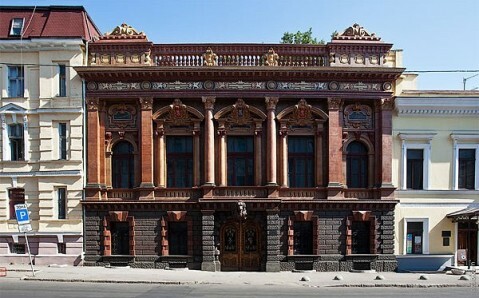 The building has adjacent art gallery in late baroque style, commissioned by Tolstoy family in the end of the 19th century. They wanted to save their vast collection of paintings and other art masterpieces of Russian and foreign visual arts. In its epoch, the gallery was reckoned to be one of the best in Russian Empire. In 1920, the Tolstoy Family was obliged to abandon Odesa. Their mansion was turned into First People’s Museum. 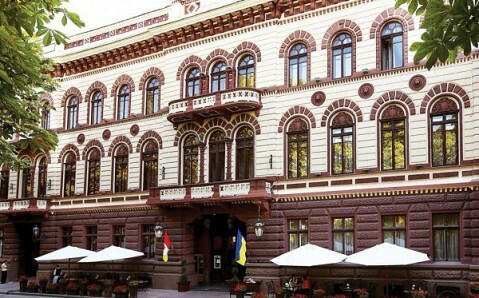 Since 1934, it features Odesa House of Scientists.